Guard Brad Newman (No. 2) during the game against Northwest Missouri State. Newman scored the most points for the Lions in the game, totaling 17. Northwest Missouri State delivered the Lions a 30-point blowout Thursday night. The Bearcats came into the game sporting a 21-0 record on the season, and they showed Lindenwood why they were ranked No. 1 right from the tip. They quickly jumped out to a 10-0 lead through the first four minutes of the game. After three turnovers in a row for the Lions, Brad Newman was able to put points on the board by hitting a three while being fouled and converting the four-point play. The Lions went into the first media timeout down 17-7. This was about as close as the Lions would get. The Bearcats held them in check and went into the break leading 41-20. Redshirt freshman Trevor Hudgins led all scorers at the half with 13 points. Senior Joey Witthus followed behind with eight points. Sophomore Ryan Hawkins and junior Ryan Welty each added seven points. The Bearcats shot 60 percent from the floor and 50 percent from beyond the arc, sinking shots with ease. For the Lions, senior Brad Newman was one of only four Lions to find the bottom of the net in the half, scoring 10 points. They were suffocated by the Bearcat defense, shooting 29 percent from the floor and 20 percent from three. It was much of the same for the Lions in the second half as the Bearcats kept their foot on the gas. Newman was able to add 7 more points to bring his total to 17. No other Lion was able to eclipse five points. They were held to an ice-cold 32 percent from the floor and about 23 percent from three. The Bearcats kept the baskets coming with efficiency while growing their lead to as many as 33 points. Witthus finished with 18 points and hit four threes. Hudgins finished with 17 and Hawkins with 10. They hit about 54 percent of their shots from the field and about 41 from beyond the arc. They also held the advantage in points in the paint, outscoring the Lions 36-18. The Bearcats rolled to a 72-41 victory, extending their winning streak to 22 games. The Loss was the fourth in a row for the Lions, bringing their record to 11-13 overall and 4-8 in MIAA conference play. They are 3-7 since the start of 2019. Next up for the Lions, they will attempt to snap the losing streak against Missouri Western State University on Saturday at 3:30 p.m. 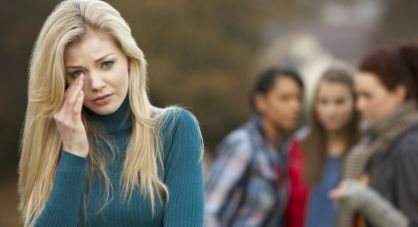 Bullying in college: Does it still exist?